We are pleased to report that even in these difficult economic times, the number of people who step forward asking to volunteer for the Southend Lifeboat remains undiminished. We are always looking for new members to join our ranks. Especially people with some ability and freedom to turn out for shouts in the week. The organisation has many positions for all kinds of skills and experience from fundraising right through to manning the boat. Because safety is so important there are a few requirements that a potential candidate must have. Most of these apply nationally to the RNLI. However, Southend station is unusual in that we have a D-class lifeboat and a hovercraft launched from the shore and two more lifeboats (an Atlantic 85 and another D-class) at the end of the pier – some 1 ¼ miles offshore! This presents Southend crews with a small extra commitment that must be allowed for when undertaking to join the team, particularly over the Summer months. Have a look at our list of requirements. Age for New Entrants 17 – 40 (parental consent required for those aged 17). Non-boat positions do exist for people older than 40. Physical Fitness Able bodied & good standard of fitness. A medical is required which is given by the Lifeboat Doctor. Eyesight Good eyesight without the need for spectacles. Must not be colour blind. An eyesight test forms part of the Lifeboat medical. Swimming Ability There is no swimming requirement to join the Lifeboat. Having said that it is fair to say that it will serve you well if you are comfortable in the water. Experience Previous experience in yachting or boating is desirable but not essential. 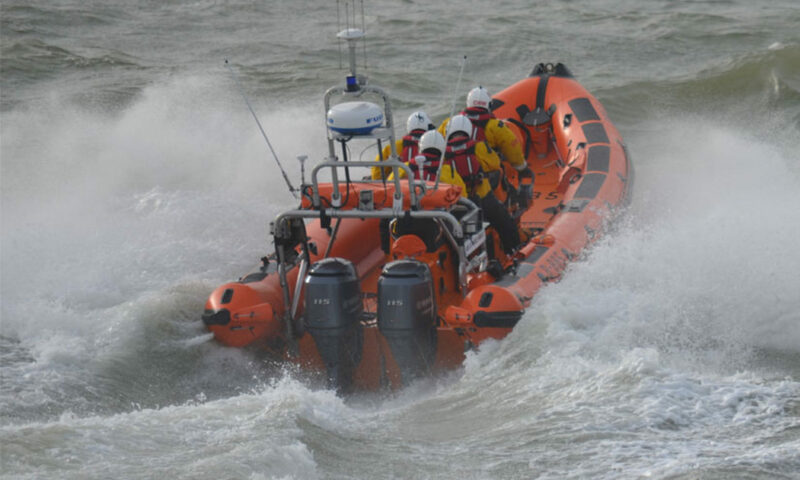 Training is ongoing within the RNLI. Living/Working Distance Local traffic dictates that you are unlikely to live outside of 4 miles from the Southend Pier. You need to be able to stay within the motoring Law and be able to get to the Pier within 5 minutes. Weekday Availability You must be available to turn out from work or home for a minimum of 24 hours daylight and 24 hours night time. Weekend Availability Weekend duties start at 19:00 hrs every Friday running non-stop through to 08:00 hrs the next Monday. Depending on your role you can expect this about once a month. Training Requirements Training nights run one evening every week. Afer you have attended an initial period of introduction and passed your medical you will be cleared to go afloat and learn what we are all about. There are various residential courses held at our Headquarters in Poole, Dorset which you should find enjoyable, rewarding yet intensive. General You need the ability to work effectively as part of a team. This is paramount.